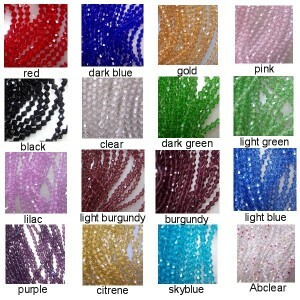 Assorted bicone shaped crystal beads 6mm size in many colours. Lovely additions to you suncatcher, jewellery and craft creations. 6mm Bicone Beads A-GRADE machine cut crystal Sold per strand. 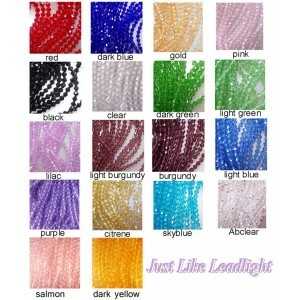 Approx 50 beads per leng..
Full set of 16 Bead strands6mm Bicone Beads A-GRADE machine cut crystalSold per strand. Approx 50 b..